Quarry Pods offers a range of luxurious accommodation in Pancrasweek near Holsworthy. 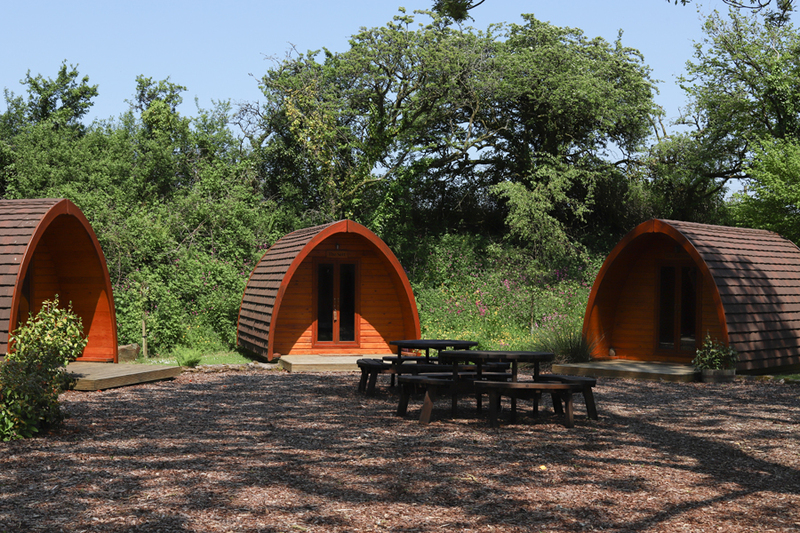 Our pods near Devon are ideal for a relaxing and peaceful break away. Our superb camping pods can be described as a luxurious wooden tent. They are doubled glazed and the walls come with sheep’s wool to keep you warm and toasty. We have five pods to choose from, including two standard pods sleeping two people and three supa pods which sleep four people. Each pod is carpeted, has electric lighting, mains power and an electric heater. Adjoing the bathrooms you will find a covered seating area with picnic tables and a red phone box which contains leaflets and local things to do. We have an indoor rainy day room which is heated and furnished with sofas, chairs and a table.